This healthy eating diet guideline is intended for informational, non medical purposes only. The guidelines listed below are intended for individuals with no prior health complications. If you are diabetic, you need to contact your doctor. Being on a low glycemic diet will lower or eliminate your need for insulin. Natural, healthy eating guidelines will quickly streamline your weight loss. There are no shortcuts. We will eliminate processed foods. Elimination includes any and all processed foods. These foods contain “mystery” chemicals that alter brain chemistry. This altered brain chemistry is what causes metabolic confusion, dysfunction and weight storage. You can easily become thin when these foods are removed. Click here to learn why processed foods are addictive and dangerous. 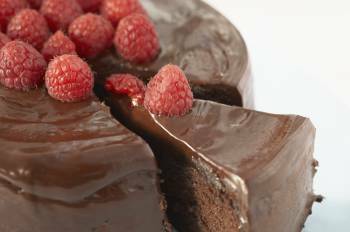 These foods would be listed as packaged sugary sweets such as Twinkies, all candy, any and all crackers, muffins, cookies, fruit juices of any kind, including orange juice, cakes, pastries, doughnuts, soda, not even diet soda, fast food, canned foods, white rice, rice cakes, white potatoes, all products containing sugar. Pre-packaged foods includes graham crackers, low fat cookies, pre-packaged potatoes, pre-packaged rice, instant potatoes, instant oatmeal or cold cereal. Old fashioned oats are fine. White bread, wheat bread, white potatoes and corn are off limits on this diet plan. Click here for our video Obese Nation. We show you exactly how to spot sugary foods that cause weight gain. This is a teaching video created by The Healthy Diet Paradise. Watching this video is hard for some people. We go through a supermarket and show you exactly what to take out of your basket. The Following Healthy Eating Diet Guidelines are based on Dr. Agatston's South Beach Diet Principles. Click here for more information on the South Beach Diet Program. Part of the elimination process is to make sure that sugar is not contained in the foods you do eat. Checking product labels for anything containing “ose” is a must; fructose, sucrose, dextrose. Manufacturers are so obsessed with adding sugar to our diets, they even put sugar in salt. Here's more information on what to expect on a sugar-free diet. We use xylitol and/or coconut palm sugar in place of white refined sugar. Click here to learn about the safety and use of xylitol. Low fat is old school. For example, many people mistakenly believe that low fat mayonnaise is excellent for weight loss. In fact, the opposite is true. The old wisdom was low fat. The only way the manufacturers can make up for the loss of taste in low fat foods is to amp up the sugar. This process leaves the food with a sticky consistency and a strange taste. Click here for our page that teaches the current science about fat and cholesterol. Eating sugar and flour causes an increase in insulin. When high insulin is present, weight loss is impossible. The number one goal at every meal is to raise the blood sugar as slowly as possible. This is accomplished by eating beef, chicken, veal, shrimp sardines, salmon, talapia, beans, old fashioned oats, nuts, whole grains, large amounts of fresh vegetables, select cheeses and moderate amounts of fruit and Greek yogurt. There are Two Sources of Fuel: The carbohydrates you eat, and the fat stored on your body. When you are eating low glycemic foods, your body goes into fat burning mode, rapidly burning off body fat, making quick weight loss very easy. When you eat high glycemic foods, it's very difficult or next to impossible to lose weight. When you're eating low glycemic foods, it's very difficult to gain weight. When an individual is consuming large quantities of high glycemic foods, the stored body fat goes into “lock” position, and weight loss is impossible. Only a low glycemic diet can reverse this occurrence. Your body is not only storing these high glycemic foods for fuel later, but also using it for fuel right now. You can exercise all day, eat low fat, and still you have a thickening waistline because of this. Your body cannot lose weight in the presence of high insulin. High insulin is an abnormal condition for your body. Insulin is a fat storage hormone. The body will not access stored fat until it has a good reason to do so. Body fat is like money in the bank, to be taken out only in an emergency. The addictive process in the high glycemic (sugar) addict is one of the most difficult aspects of weight loss to deal with. This addiction has to be handled like any other addiction, by abstaining from the addictive substance. Sugar is eight times more addictive than cocaine. Sugar sets off the same excitement centers in the brain as crack cocaine or heroin. When the average consumer disrupts his or her sugar intake, they experience agitation, nausea, panic, sleep loss, anxiety, irritability, sweating and headaches. Sugar is a profoundly addictive and dangerous substance. Click here to read about a study of rats who preferred sugar over cocaine. Raising blood sugar by eating high amounts of refined sugar creates diabetes, obesity, Alzheimer's Disease, hormonal disorders, male patterned hair loss, sleep disturbances, anxiety, and a host of other problems. Flour and flour products turn to sugar in the blood stream. Your body reads flour and flour products exactly the same as if it was pure sugar. If you consume flour products such as bread, tortillas, crackers, rice cakes, pastries, biscuits, it raises your blood sugar the same as sugar. Whole wheat bread has a GI of 80, which is extremely high. It's a myth that whole wheat is good for you. Not only does flour cause obesity, it causes a wide variety of auto-immune disorders. Click here to learn more. Dr. William Davis in Wheat Belly links wheat consumption of all types to abdominal fat. And it's true. When the wheat goes, your weight drops really fast. Breads are cakes in disguise. Even whole wheat bread raises blood sugar sky high. White bread is out of the question. 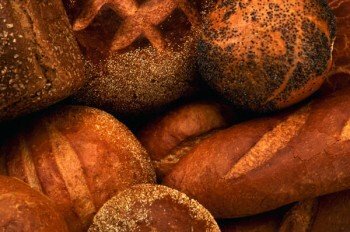 Bread rapidly raises blood sugar and adds undesirable carbohydrates to your diet. Once the cells are on fat lock, your system uses the powder you just ate to create glucose, a fuel. There are no nutrients in this fuel. Your brain is looking for nutrients. It finds none. The blood sugar crashes from the sudden rise of insulin. The combination of crashing blood sugar and the lack of nutrients causes a gnawing hunger. The worst part is the addictive process is set up over and over again. 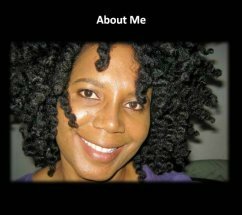 In midlife women it’s worse because of fluctuating hormones. In menopausal women, hunger pangs increase therefore creating unwanted weight gain. This is disastrous and completely avoidable. When you apply these healthy eating diet guidelines, you experience no addictions. Disengaging from the addiction to sugar can only be done one way. Complete abstinence from flour products and sugar. That means never again. It’s the only way to kill the addiction. You will never see a person addicted to fresh vegetables and fish. You will experience every symptom under the sun, including some I haven’t mentioned. It took me three tries over the span of six months before I got it right. I systematically sabotaged myself over and over again trying to make up for the lost sugar. When the weight came back on, I realized I had to take it all the way. Food addiction must be handled like a drug addiction: Completely abstaining from addictive foods, period. There is nothing more comforting than a warm piece of chocolate cake in your mouth oozing down your throat in times of stress. The addict is paralyzed. The pleasure centers in the brain fire off, and the addict is in heaven. What if the addict didn’t eat that piece of cake? The addict would have to sit down and closely analyze his or her bad feelings. Until the addict copes with those bad feelings, they will continue to return. You have to feel the emotion to process it. It could be spousal abuse, past childhood abuse, traumatic memories, sexual abuse, a tyrant boss, a difficult child, a job you hate. It could simply be that you are heavy and dislike the way you look. Either way, those negative emotions must be faced. Facing negative emotions renders them powerless. There is no magic bullet or pill, no magic words that I can give you except the power of no. No junk food, no sodas, no fruit juices or candy, no pre-packed processed food. I was a cigarette addict for ten years. I hated it, but I couldn’t quit. I tried over 100 times in a ten-year span to quit. My significant other was a very heavy smoker. When my significant other saw that I could quit for 10 or more days, he panicked and would start fights to get me to start again. Many times, when people see your success, they will manufacture brilliant reasons why you need to eat or smoke or drug, or whatever the addiction is. Misery loves company. I’m fat, so you’re going to be fat and be miserable with me. When I first started my nutrition plan that included a no sugar diet, a close friend of mine didn’t believe I could do it. At first I would have the cakes and the cookies for her when she would visit. Of course my friend figured I would sneak them and eat them after she left. Four days later, she would come back to visit, and the same junk food would be sitting there. She was shocked that I stuck to my healthy eating diet guidelines. She joined me within six months, and never went back. She lost 50 pounds very quickly. One fellow tried to force feed me a cup of hot cocoa. “No, it does not contain sugar,” he said. To get him to retreat, I finally lied and said I was a diabetic. When I tried to quit smoking, once I got past the month mark, I thought, well, I can have one toke of a cigarette. Well, guess what happened? One toke turned into two, two tokes turned into a cigarette, which turned into ten. By the time all my excuses were finished, I was smoking like a freight train going 100 miles an hour. That’s when I finally understood I couldn’t smoke at all and quit for good. That was 23 years ago. No excuses. The same principle applies to crack foods. Now you’ve hit your goal. As a result of your new healthy eating diet guidelines, the weight is off. Everybody stops to congratulate you. Some people may even walk right past you because they don’t recognize you. The attention is a high for you. Men/women are looking at you again. You can’t believe it. You feel fantastic. Hold on, though. This is where most people mess up. Most people get a big head and think they can go straight back to the doughnut shop and order a dozen crispy cremes. Please don’t make this mistake. For most of us, it's never just one piece. Once the weight is off and you’re at your dream weight, you must be vigilant and watch the scale and your waistline. Your healthy eating diet guidelines must be continued for life. Making exceptions and saying “just a little piece” will result in the craving for another and then another. Don’t fall into this trap. Manufacturers will do anything to keep you addicted. They have lab technicians experimenting with additives in processed food to change the chemistry of your brain. Let’s compare building your body to building a house. When building a house, you want the high grade oak, cedar, new copper piping, the 30-year roof, the most expensive carpets, elegant brick and strong supports. When you are eating trash or junk food, it’s the same as building your house with rotted wood, rusting pipe, and sub par material. One strong wind and that house is going to blow over. People want youth and beauty, but they are doing everything to sabotage it. When you eat improperly, your body is creating new cells that are disease and cancer prone. Why spend your hard-earned money on creams that make false claims when you can cure the problem within the very cell itself? Many times, the low glycemic eating plan can create certain less dangerous addictive patterns, even with excellent food choices. One example is nuts. I’m crazy about nuts. I didn’t eat nuts for many years because I thought they would make me fat. This is completely untrue. So what did I do? I ate them nonstop. I gained five pounds over two months just eating nuts. I finally had to put them in the garage to make them inaccessible at a moment’s notice. Fruit can cause weight gain. This concept was really hard for me, because we’ve always been told fruit is good for us. And fruit is good for us, but not in excess. The Atkins diet and the South Beach diet teach us how to use fruit to control your weight. Fruit can cause insulin reactions. Fruit is a big problem for low glycemic dieters, because once they lose their refined sugar, they crave more fruit. This is a common mistake. Remember, sugar is sugar. The body reads natural fruit sugars the same way that it reads any sugar, and that’s with an insulin response. If you're looking for healthy snack alternatives, click here. If you are a vegetarian, there's specific guidelines for you to follow. Click here for more information on how to eat vegetarian. When you are in the losing phase of a low glycemic diet plan, you must limit fruit intake. If you don’t follow this healthy eating diet guideline, your weight loss may not only stall, but you could actually start putting on weight. In the beginning stages of weight loss, no more than one piece of fruit per day. When you are doing an Atkins Phase One diet plan, there's no fruit in the induction stage for the first two weeks. As time goes on and the weight comes all the way off, you can relax this rule and have two. Remember, pineapple, grapes, cherries, oranges, mangoes, and certain select fruits are very high in sugar. Pure fructose in fruit juice causes very rapid weight gain. The only exception is lemon water. High fructose corn syrup and fruit juice are very closely related. They contain massive amounts of fructose. Ninety-five percent of people regain their weight when using over-the-counter products. There is a direct reason for this. It’s not that the diet failed, it’s that their diet foods do not teach people how to eat. This is where mainstream diets fail. If you diligently follow these healthy eating guidelines, you eliminate the temptation. I searched high and low for a low glycemic cereal. The only one I found looks and tastes like rabbit pellets. In order to lose weight, you must cook your food. You can make your own cereal by baking oats, sunflower seeds, honey, coconut, and more. That way you know exactly what's in it. Out of curiosity, I looked at the content of a diet product, and it had 52 carbs per serving. Many of these products are also loaded with sugar. You might as well eat at McDonald’s and get it over with. Slim Fast has 18 grams of sugar and contains high fructose corn syrup. 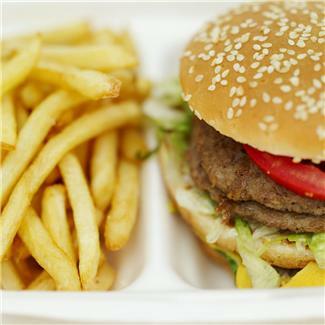 Fast food should be avoided, but fast food can be modified. In other words, you can be on a low glycemic eating plan and eat at El Pollo Loco. You can get the fresh vegetables, salad, cole slaw, black or pinto beans, carne asada, and water. If you order the burrito, eat only the inside and no rice. If you get the Pollo Bowl, order it without rice. They will give you extra beans to compensate. Chipotle Offers a Burrito Bowl With Brown Rice as an Alternative. At McDonald’s, you can get the grilled salad. Avoid the salad that serves chicken with any breading on it. Don’t forget, no bread also means no breading. Baja Fresh has a wonderful array of low glycemic options. Don’t forget to follow the rules. No chips with this meal. Get a low glycemic option or eliminate the chips. Subway has a salad that can substitute for bread. They come in plastic containers. I always get the spinach because it’s loaded with nutrition. And remember, no croutons. When you use comprehensive phase one diet plans, weight loss is incredibly fast and easy. I call it Phase-One-it Gun-it. You will lose body fat quickly and effortlessly.